A puffy face is a fact of life for many women but it doesn’t have to be because there is something extremely effective that takes just a few minutes and significantly reduces facial bloating. 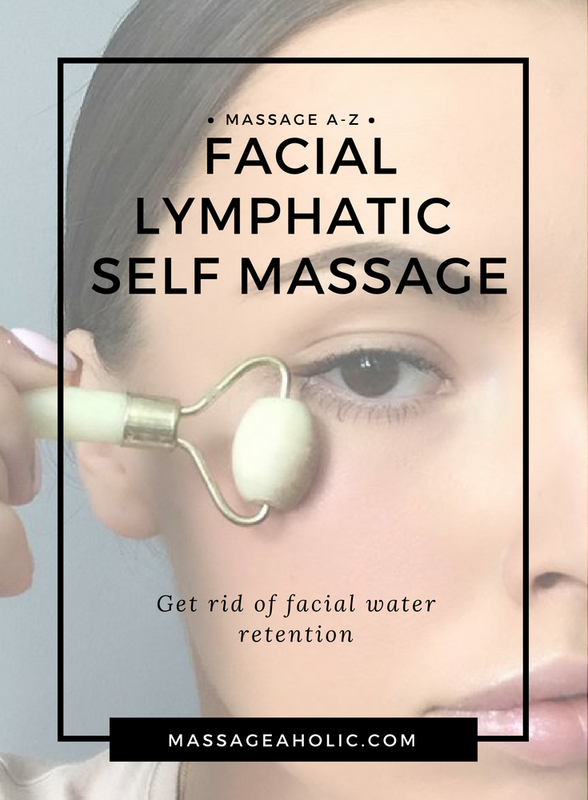 It’s called facial lymph drainage massage and is a genuinely tried and tested method that works to slim down the facial contours and get rid of excess water. Water retention is simply excess fluid that hasn’t drained away from the body. Your lymphatic system is responsible for carrying toxins and impurities away from the body until it leaves it through secreting urine or sweat. However, sometimes, the lymphatic system needs a helping hand because it’s a little blocked or it has slowed down. One of the most important things you can do to improve lymphatic drainage is to drink water. Water is vital in helping to transport impurities and toxins through the body’s lymphatic system. Another factor of poor lymphatic drainage is lack of exercise. It’s important to move and keep active to reduce swelling of any kind, whether it’s in the face area or other parts of the body (e.g. feet and leg areas). If you lead a sedentary lifestyle, you will be likely to swell more, especially in hot weather, so make sure you get up from your desk or the sofa every hour and take a walk, do some stretching or gentle exercise. To help the lymphatic system work effectively, you should limit your caffeine and alcohol intake too as both of these act as diuretics which don’t help the lymphatic system, they hinder it instead. Whenever you drink wine or coffee, counteract its effects with a glass of pure water. There are various lymph drainage massage techniques to try and it’s a good idea to factor in an anti-aging moisturiser or a gentle facial-quality essential oil. This will help to further hydrate your skin and make it appear smooth and soft. Firstly though, you need to get to know where the lymph nodes are in your face. There are three groups on the face, the maxillary infraorbital, buccinators and supramandibular lymph nodes. They work the mucous membrane of the nose, cheeks and eyelids and are situated under the eyelids, both side of the chin and either side of the nose. Here’s how to massage the lymph nodes on your face. You should spend five minutes applying this technique for best results. Then move your hands and fingers from the scoop of your nose (between the eyes) downwards and back upwards. Gradually move your fingers and hands in sweeping motions towards your earlobes. Pucker your lips together for a few seconds to stimulate blood in the mouth area and then smile widely. Do this two or three times, then smile without revealing your teeth and hold for a few seconds. If you want to add essential oils to your lymphatic massage, try mixing a couple of drops of lavender essential oil with a quality carrier oil (such as coconut, jojoba or sweet almond) for use on the face and neck (you don’t have to dilute lavender essential oil but if your skin is very sensitive, it’s wise to blend it carefully). Frankincense is another excellent topical essential oil which helps with anti-aging, inflammation and can be used on the face (again, be careful if your skin is sensitive). It’s also cleansing and detoxifying which is what is needed to reduce swelling and excess water retention. How Often Should You Get A Massage? Why Do Massages Feel Good? “Masseuse,” “Masseur,” & “Massage Therapist” – What’s The Difference & Why Does It Matter? What To Do After A Massage? Clara is an entrepreneur and content marketer. In a former life, as a corporate business executive, she relied on yoga, reflexology and other alternative practices to fight stress, anxiety and find balance. She’s on a mission to build healthy habits for a balanced, healthy life, connecting body, mind and spirit. 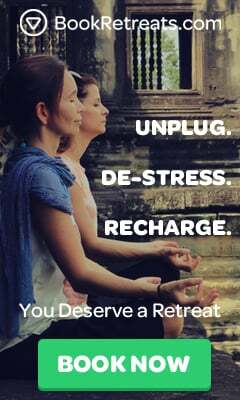 Massageaholic is on a mission to bring massage therapy closer to those who want to live a balanced, healthy life, connecting body mind and spirit. Whether you’re looking to find the best massage therapy close to your home, or just researching for your next massage session, we are proud to be part of your self love journey. 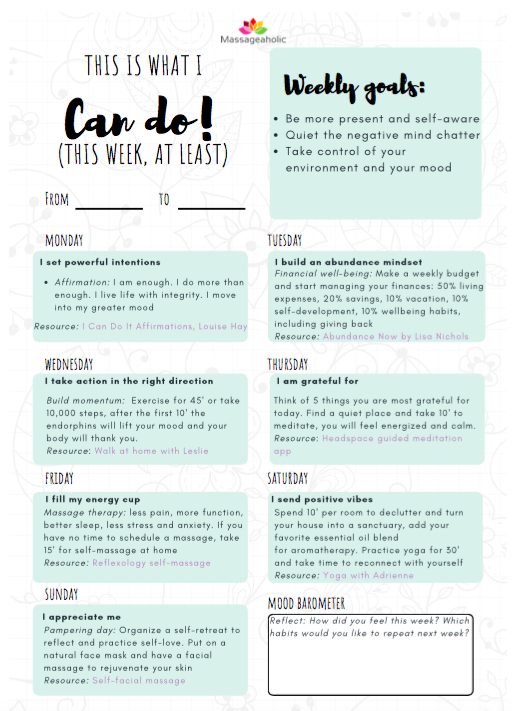 Slay your goals, avoid burnout and make every day count. Make 2019 your best year!